At PetSafe® Brand, we understand a well-trained dog will enjoy a better quality of life. We also understand that cats are curious and sometimes need to be kept off the worktops. That’s why we've developed a range of Training Systems that offer a choice of communication method, whether this be a harness, a headcollar or a static, spray or ultrasonic remote trainer to help resolve behavioural issues effectively. All our electronic Training Systems uphold the rigorous standards of pet protection as laid out by the Electronic Collar Manufacturers Association™ – ECMA™. With static remote trainers your dog will quickly learn the association between his behaviour and your training through an electrical stimulation. A mist is sprayed in order to interrupt the dog’s unwanted behaviour. A Remote Trainer that emits both negative and positive tones to train and reward your dog equally. Vibration remote trainers use gentle, low-frequency vibration stimulation to communicate with your dog. A popular, practical and stylish way to discourage pulling so you can both enjoy walks. Reward your pet for good behavior with clickers. The ECMA™ philosophy is to develop products that promote animal welfare and enhance owners’ communication and relationship with their pets. 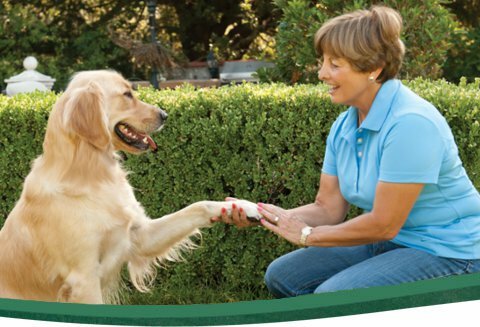 As a founding member of ECMA™, PetSafe® Brand has a continuous concern to improve the well-being of pets; giving them harmony and integrating them into everyday life. PetSafe® Brand is committed to meeting the requirements laid out in the ECMA™ standards for pet protection products. All PetSafe® electronic Training Systems meet these requirements. Have questions about these products? Wondering how to use a remote trainer or Easy Walk® Harness?